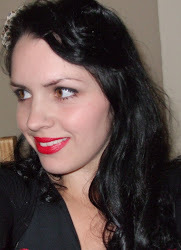 If I have shared this picture already, apologies!! It is such a fantastic picture though that I don't think it matters. These cards are creations from Stampin' Up! HQ - aren't they absolutely gorgeous? 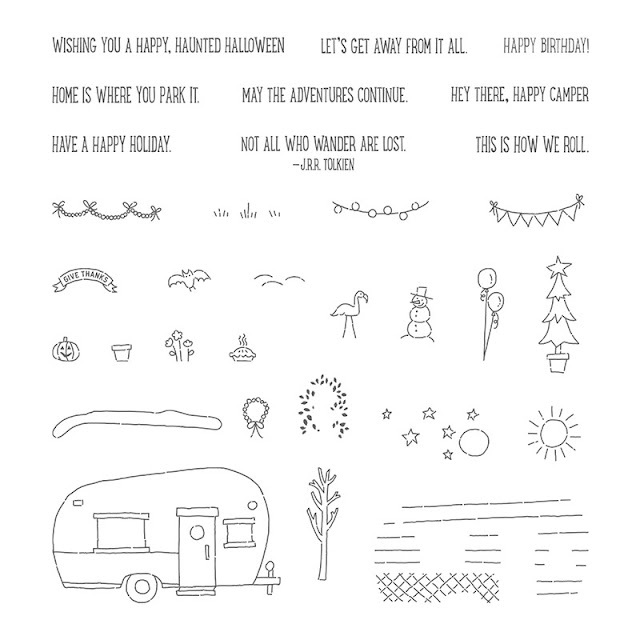 They've been created with the Glamper Greetings stamp set, which is one of our fabulous Photopolymer sets. Our Photopolymer stamps are completely see-through allowing for perfect placement on your projects. 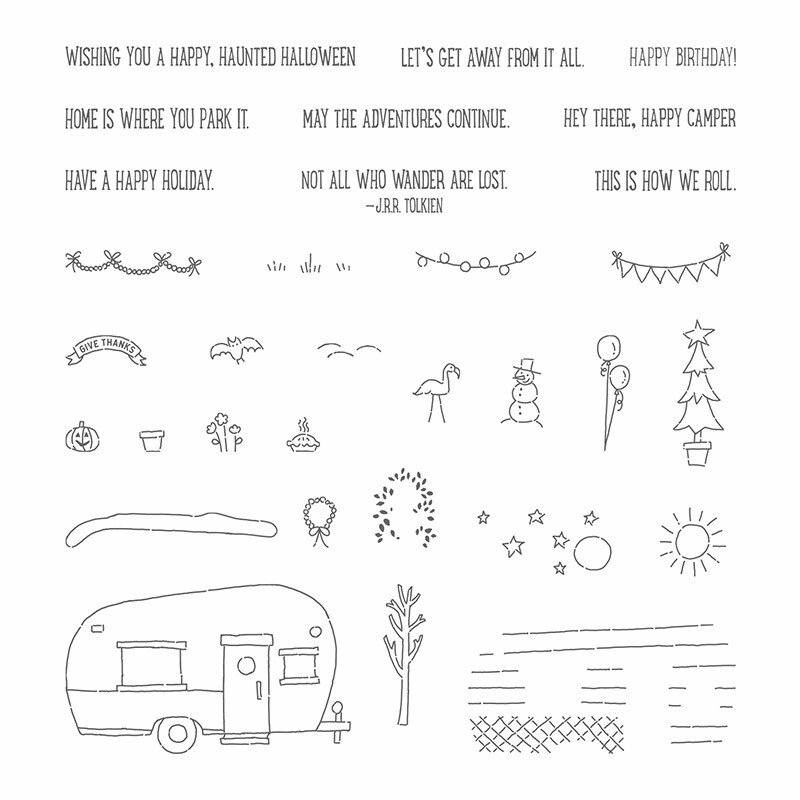 The Glamper Greetings stamp set is perfect for every occasion and you can decorate the caravan to represent whatever season or holiday is current. There are 9 fantastic sentiments, I think my favourite has to be the Tolkien quote. 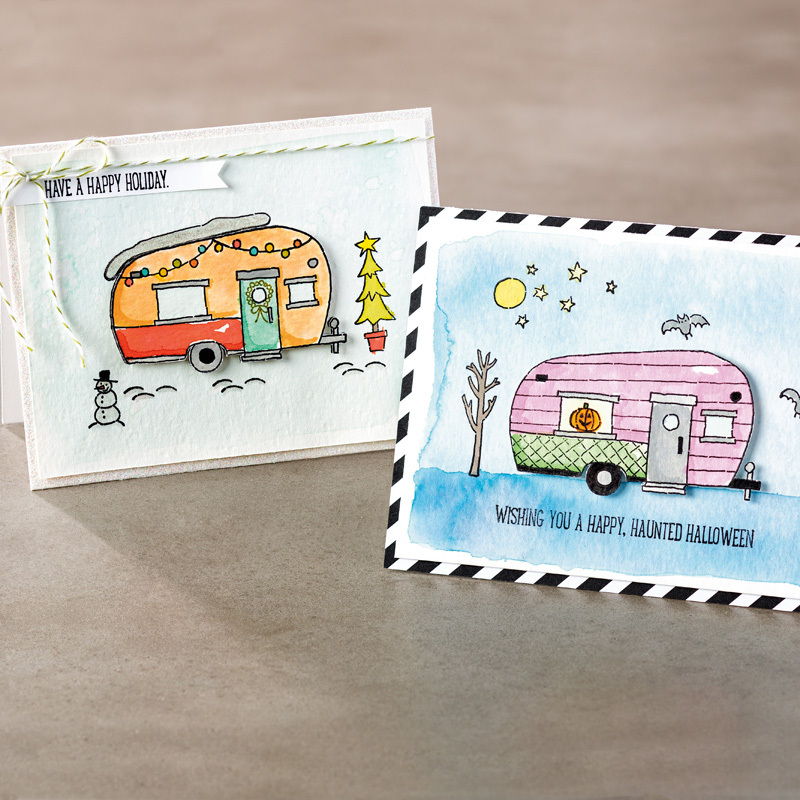 The caravan is simple enough for watercolouring with Aqua Painters and our Classic Stampin' Pads. 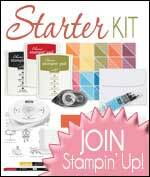 I think this is set to become a firm favourite with Stampin' Up! fans, it's certainly one of my favourites already.